 Jon is the founder of Rose City Circus. Jon was a college athlete with a love and passion for theatre and dance. After college he saw a local circus and immediately auditioned, and joined Kazum acrobatics troop in 2006. After several years of training and performing, Jon founded Rose City Circus (previously RAD) in 2012 , with some of his fellow Portland acrobats. Anngela is one of RCC's founding members. She specializes in Chair stacking, handbalancing, duo acrobatics, and group acrobatics. She has been touring and performing for several years, and continues to astound all audiences with her daring acts. Since 2003 Aaron Lyon has performed acrobatic feats on stilts in thousands of venues in hundreds of cities in the United States, China, Germany, France, Canada and the Netherlands. He has worked with notable corporations such as Time Warner, Visio, Comcast, Redbull, Disney, ABC and Facebook. Aaron has had the pleasure of captivating audiences at major festivals such as Coachella, JamCruise, Electric Forest, Wakarusa, Voodoo Music Experience, South by Southwest, High Sierra Music Fest, Eclipse, Lightning in a Bottle, and countless others. When combined with extensive experience, Aaron's natural joy de vivre delivers exciting entertainment, both on stage and in roaming performance settings." 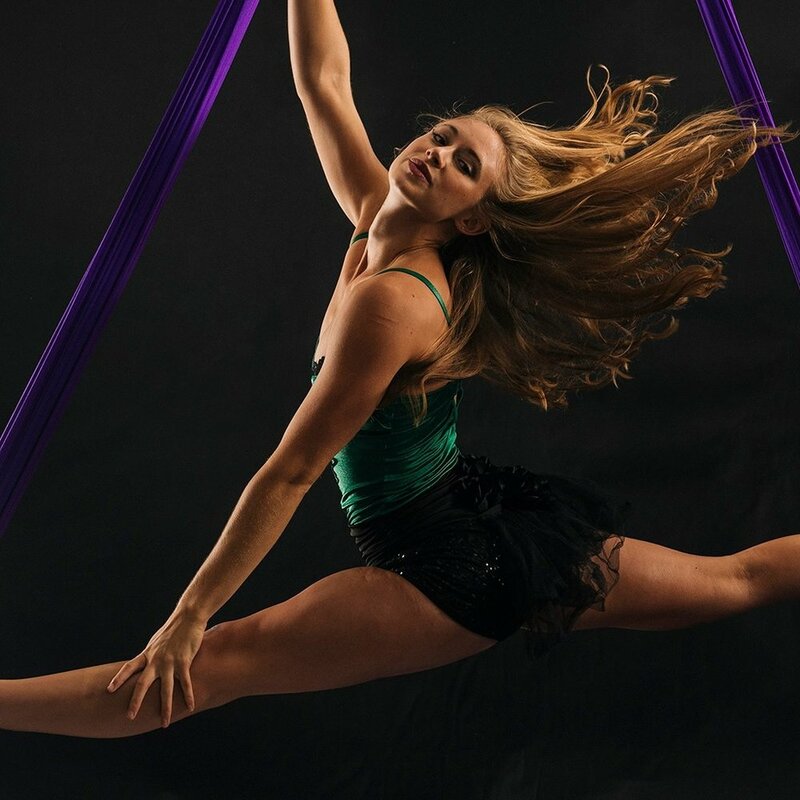 Katie is a professional aerialist and acrobat as well as Rose City Circus's marketing manager and point of contact for clients and talent. She currently performs with AIDA cruise lines as well as several event companies and circus groups. Her specialties include aerial fabric, straps, multicorde, duo acrobatics, tumbling, and flying trapeze. Rebecca Palmer is an acclaimed performance artist whose unique and refined style is rooted in ballet, modern dance, gymnastics, circus arts & acrobatics. Her passion for performance was sparked early on and has fueled her drive for progression and professionalism. In 2011 Rebecca focused her studies in aerial arts perfecting performances in aerial silks and hoops, lyrical dance, and contortion. Her polished and one of kind style has been enriched by each performance, providing new inspiration and creative progression to her diverse range of acts. Rebecca's cross training allows her to deliver a wide range of roles, from lither and etheral to earthy and visceral. Vivid, extravagant movement and strong, multifaceted technique are her trademarks. Tera Nova Zarra tours nationally and internationally with her unique mix of massive strength, innovative creativity, and fiery stage presence. Whether you are seeking physics-defying circus performance, or wanting to add acrobatic, character-driven ambience to an event, Tera will be happy to come smash it, bend it, do a handstand on it, and dance suspended over it for your delight! Eli March is a professional juggler based out of Portland Oregon. Known for his fluid style, originality, and clean execution, he has become a highly regarded teacher and performer at events up and down the west coast. As an MC he is renowned for his combination of eloquent oration, jaw dropping tricks, and improvisation. With a vast repertoire of juggling and vaudeville acts, including fire, LED, and comedy, he can cater performances to any type of event. Courtney is a stilt-walker, hooper, firespinner, and acrobatic flier. She has toured with MarchFourth, performed with USC Events, and is a member of Tempos Contemporary Circus. 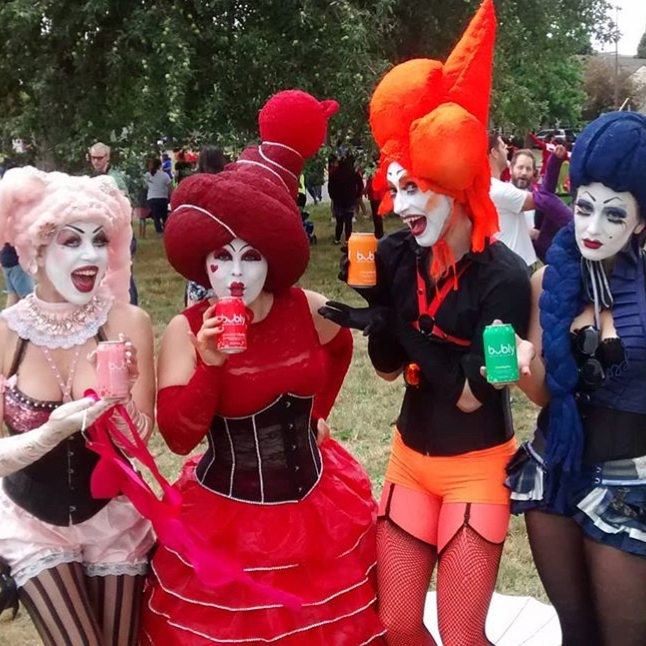 She shares her love of circus by teaching kid's camps in the summer. Unique comedy entertainment featuring world-class lasso and whip tricks, juggling, high unicycle and other stunts. 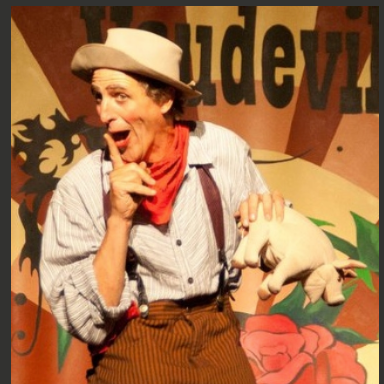 Leapin’ Louie gets the audience at your event laughing and excited! He creates custom shows for companies, festivals, fairs schools, and theaters, and can adapt to any situation. He has performed in every kind of venue for 25 years and in 31 different countries around the world. Fou Fou Ha is a premiere cartoon performance ensemble mixing dance theater, character interaction and a bedazzled fashionista trixter magic. Since 2001, the Fous have activated events, put on full game and variety shows, told stories (albeit in gibberish) and brought play and the absurd to events across the nation. The Fous originated in the San Francisco Bay Area and have recently sprouted to troupes in New York, Austin and our very own Portland, Oregon.Described as having a Fosse precision with a Jim Henson sensibility, Fou Fou Ha truly represents a mashup of drag, mixed with witty political acts and a fashion forward paradigm blender with a twist of party monster. Part glitter, part Fool archetype, part dance company and inhibition annihilators. Welcome to the Fou dimension…enjoy the ride. Alicia and Russ make up a performance and dance company called Arc in Movement. As choreographers and aerialists, they continue to create beautiful, innovative performances both on the ground and in the air. Their performances include dance, aerial harness, and fire.